SAN DIEGO, Calif. – They have names like “Isabelle Ringer,” “Steely Jan” and “Slamurai.” They don’t typically respond to their legal names. They skate on sprained ankles and they don’t waste time brushing themselves off after slamming into a guardrail at full speed. The ladies of roller derby just keep skating. Known for fishnets, violence and nom de plumes, a roller derby revival is growing in popularity across the world and has even found a captive audience with the U.S. military. Some service members are gravitating toward the skating rink as derby players, referees, non-skating officials and coaches. Roller derby, Kemp explained, can be an excellent stress reliever for service members whether they play or support a league as an official. Kemp, a petty officer stationed aboard the amphibious assault ship USS Peleliu, explained that he became interested in roller derby when his wife joined a league in Kansas City, Mo. Derby participants like Kemp often face a learning curve when entering the sport. 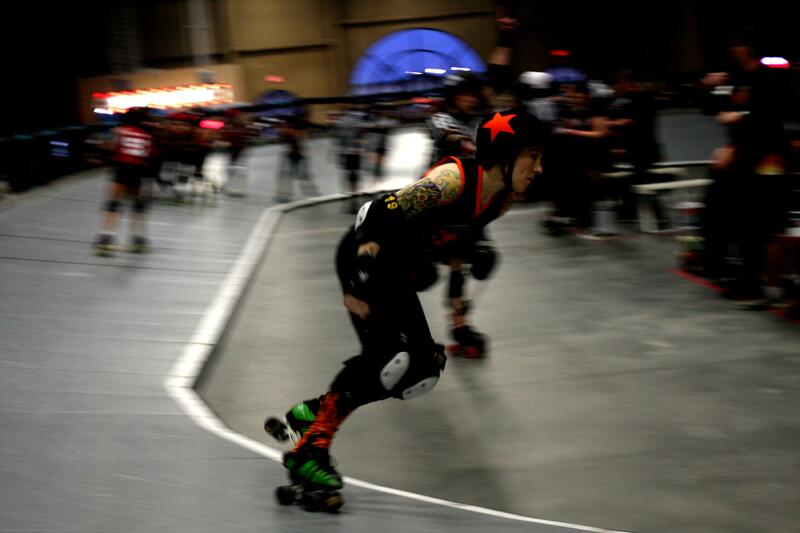 Roller derby is no longer the choreographed spectacle it was in the 1970’s – today’s participants are athletes. 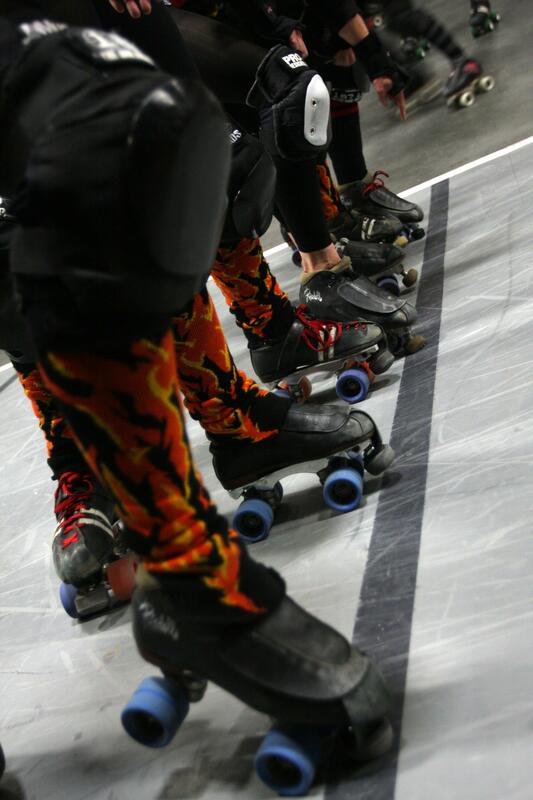 A derby bout consists of 15-minute quarters during which jammers attempt to score points by passing as many members of the opposing teams’ pack of blockers – defense skaters – and pivots – play-callers who set the pace of the pack. Between time-outs and halftime, bouts can stretch for close to three hours. That is three hours of hard skating, body checking and snap decision making. 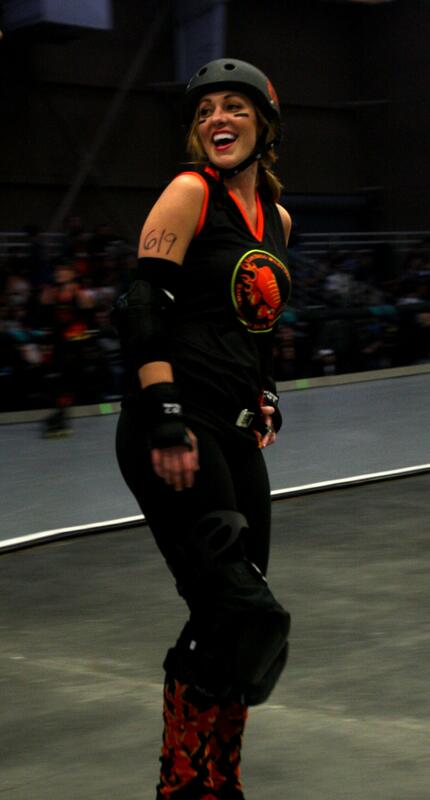 Isabelle Ringer, a pivot for the San Diego Wildfires, had just finished a roller derby bout against Colorado’s Rocky Mountain Rollergirls on what she thought was a broken ankle. Ringer emphasized that the best part of participating in roller derby is the tight-knit community that comes with it. “Once you’re in this, you have friends around the world,” said Chris “Refadillo” Gaines, a referee for the San Diego Derby Dolls. The San Diego Derby Dolls offer discounted tickets for all active-duty military members. Their next home bout in San Diego is May 7, when they will battle the Los Angeles Varsity Brawlers. The Dolls are constantly recruiting and welcome active-duty service men and women. For more information, visit http://sd.derbydolls.com.